Too often during childhood the potential for creativity is pushed aside by adults with a focus firmly planted on their child’s developing intellect and learning pursuits of a more ‘academic’ nature. What if, instead of viewing creativity as merely ‘art’ or even music, dance and drama (not that I am personally undervaluing any of these pursuits), we re-defined creativity as the ability to see things and express ourselves in a unique way, the ability to find interesting solutions to problems, the ability to streamline a process to become more efficient. Are these not all ways of being creative? And are they not highly sought after skills in our modern day world? Children are creative individuals. Instead of stomping out or putting on hold their creativity in favour of academics, adults should embrace the creativity of a child as a manner of engaging them in play and in learning. Just a few of a wonderful range of responses, each providing a small insight into what the individual child ‘knows’ about the topic at hand. Some of the responses could be considered more knowledgeable, some more creative, but all involved the children sharing their own thoughts and understanding. So how can adults support a children’s creative play as a form of unique expression and individual thought? Open ended toys are best. 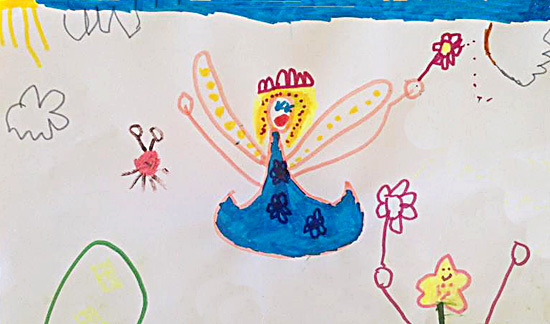 Consider the play (and learning potential) of a set of colourful play silks versus a Disney Cinderella dress up, or some lovely new felt tipped pens and a lovely big sheet of white art paper versus a colouring in book. When playing or creating with children, remember there are many ways to do things. For example, Immy often asks me to draw alongside her when she is drawing. Whatever I draw, I try to draw it differently each time. Parents often fall into the trap of drawing a tree with a trunk and ‘cotton ball’ top and so children learn that that is the way to draw a tree, when in fact this is clearly only one way to draw a tree. There are many ways to draw, many ways to model with dough, many ways to build with construction materials, many ways to make a sandcastle. Provide room and a safe zone for your child to express their ideas without fear of your rejection. Yes, the way you complete a task may be quicker and more efficient, the way you build a block tower might make it less likely to tumble, but children learn through thinking through their own methods and giving them a go. Take time to play with your child. Go with the flow and follow their lead. Demonstrate to your child that life is not just about getting the right answer. Thinking of new, better or more creative ways to do things is just as important and is in many ways more difficult. Children who learn these lessons are more likely to try new things and persevere in the face of difficulty. Support your child to communicate their ideas and visions through whatever their chosen ‘language.’ Use questions to help them clarify their ideas rather then providing them with the answer. Recognise that children’s creative responses provide you with insight into what they already know and how they think. Watch and listen carefully and you will see that they are learning an awful lot about the world they live in. What are some ways your child expresses their individual creativity through play? Is imaginative play just a waste of time? I could not agree more. Kids' creativity knows no bounds...except those that adults put on it. I'm always amazed at the ideas kids have and the things they will try to solve a problem. Your comment about doing things different ways is so important. Kids will "do it the right way" if they determine that we favor a certain method. Open ended toys and various lines of thought can cultivate the innate creativity in kids. Yep, fab post Christie. I'm a huge fan of open ended toys. Children have so much to teach adults about play, if only we'd open our eyes and see into their world. That is a lovely book. 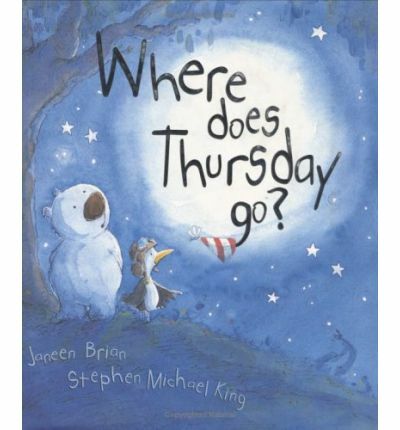 Children can come up with the most imaginative ideas to the simplest of questions sometimes, hey. There often seems to be a point where that creativity and imagination gets squashed out of them, but instead it should be nurtured. This is a wondeful post. I recently spent some time with my children and my uncle and auntie. My uncle, especially, is wonderful with spontaneous and imaginative play...he was inspiring to watch. Yes! This is how we try to encourage creativity and play too. We like to include natural 'toys' such as fircones and shells. Thank you for your idea on drawing in a different way each time - I'm going to use this. Joyful Learner, I too use bright colourful womens scarves. SM- you are so right, I love looking at the world through the eyes of a child, we DO have so much to learn.